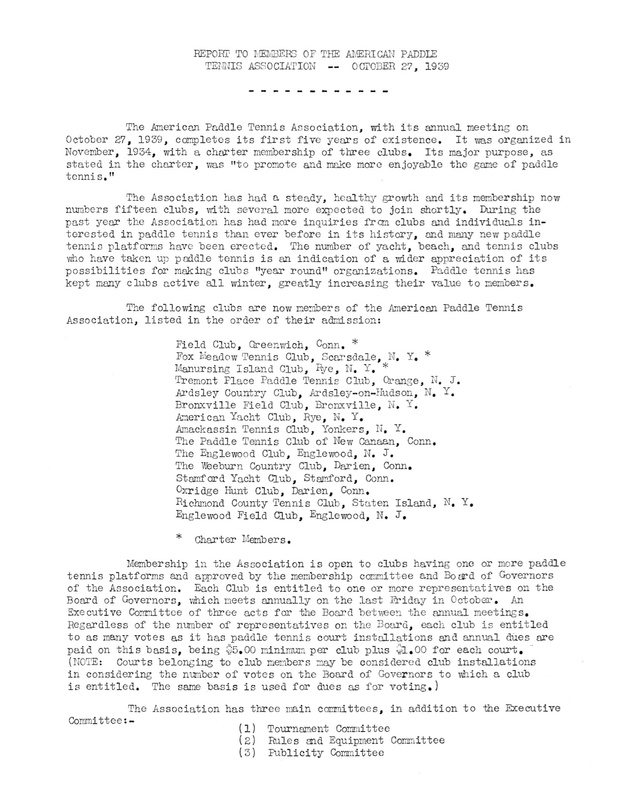 APTA Report to Members – membership up to 15 clubs; clubs requested to remind players about foot-faults! 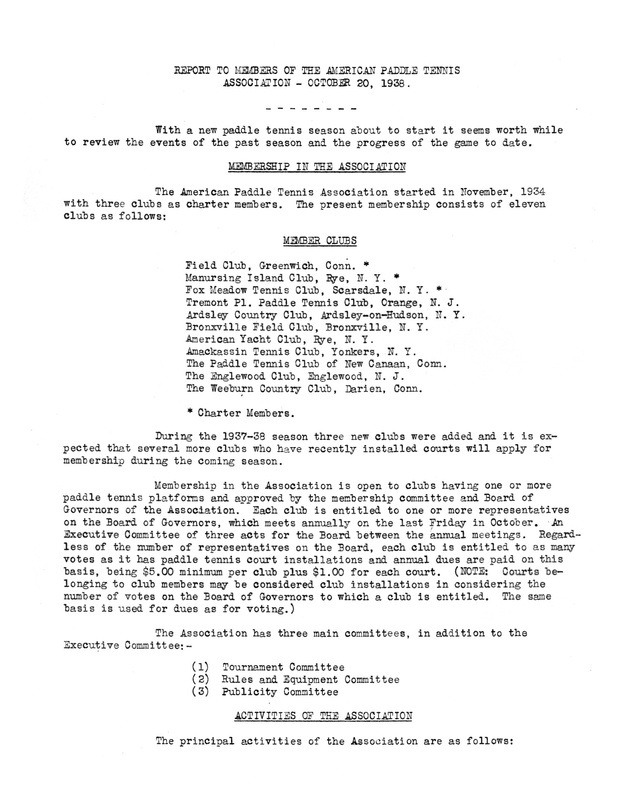 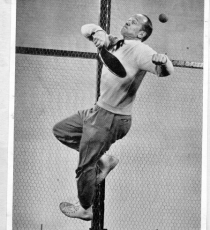 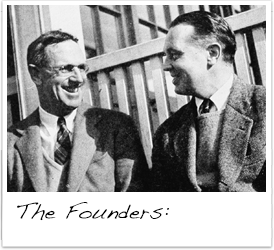 The Fox Meadow Tennis Club had been holding tennis Scrambles for several years when Ken Ward of Manursing suggested in 1938 that the recently formed American Paddle Tennis Association (APTA) hold an inter-club Scrambles. 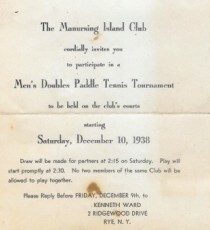 In paddle, this event came to be called the Jamboree and later the Jambles. 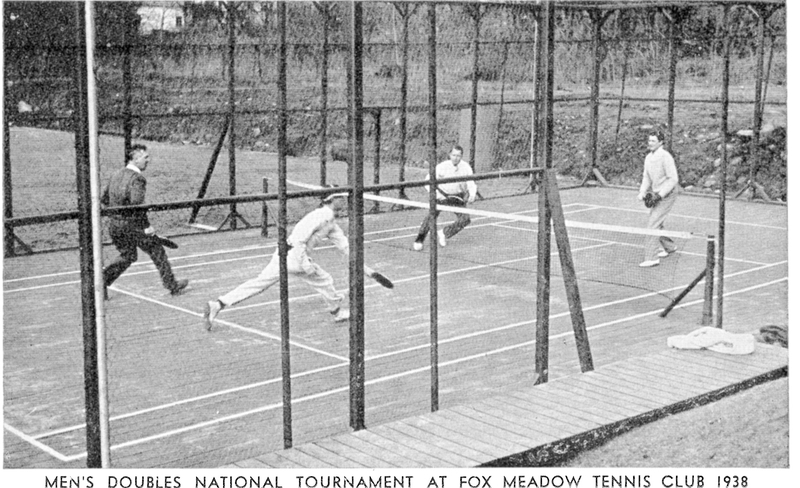 Play was held at Fox Meadow, the only club with enough courts. 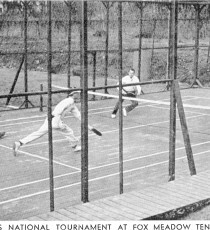 Through the 1930s and 1940s, Fox Meadow players dominated the new sport, and their styles and strategies became the standards for championship play. 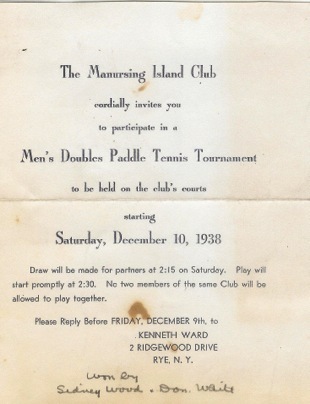 The Club's pre-eminence was partly attributable to members' wholehearted adoption of the game and partly to the fact that Fox Meadow had far more courts than any other club, with the exception of Manursing Island Club in Rye, NY. 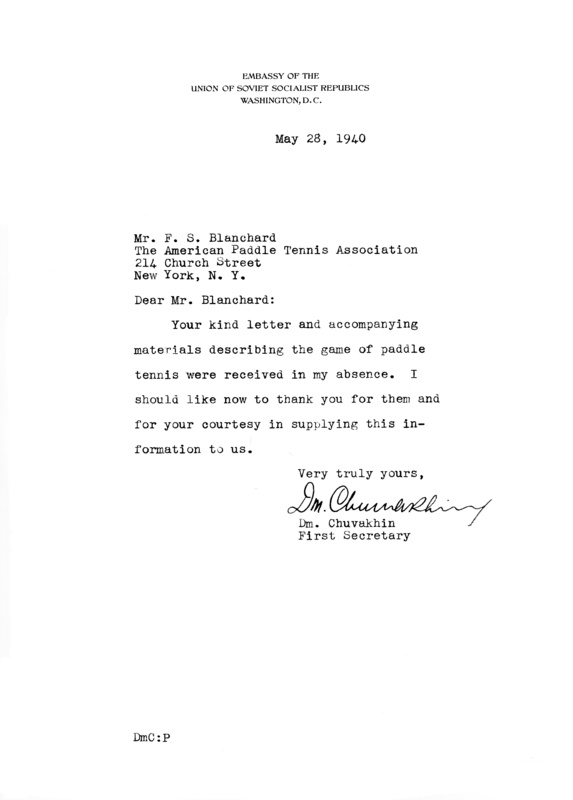 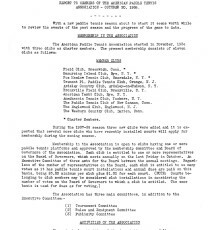 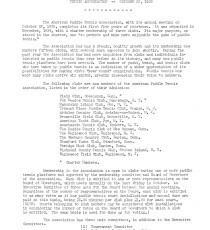 In the spring of 1940, the APTA received a request for information on the sport from the "Embassy of the Union of Soviet Socialist Republics" in Washington, D.C. 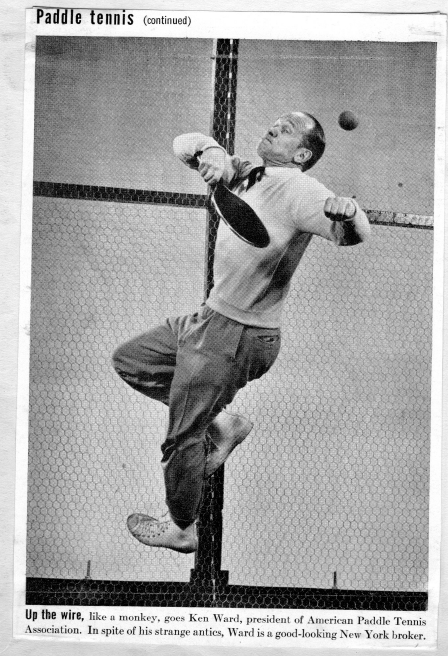 The Russian Commissar of Sports, Mr. Dm. 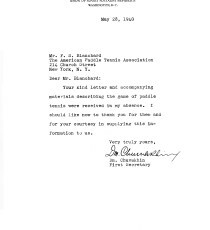 Chuvakhin, wanted to learn more about platform tennis.